Verse 24 gives the timing of the coming of the Son of Man in relation to “that tribulation” (what tribulation, you ask? The war in Judea as just described in v. 14-23). The return of Jesus will happen “after” this tribulation. The commentaries I consulted (NICNT, NIVAC, BCBC) were nearly unanimous in stating that the text here seems to be deliberately ambiguous as to length of the time interval between these two events. The great cosmic signs in verse 24-25 borrow as heavily from the Old Testament Prophets as anywhere else in this discourse. They point us to a disturbance of powers which may be closer to political than astronomical (TNTC). The language is so reminiscent of the Day of Yahweh (Joel 2:10, 3:15; cf. Isa 13:10, 34:4, Ezek. 32:7-8, Amos 8:9) that we a driven to think of the Lord overthrowing human, worldly powers (like Babylon, Egypt and Assyria). These signs accompany rather than proceed the coming of the Son of Man. Jesus coming will be with great power and glory (v. 26). In contrast to His previous statement that He would suffer, be rejected by the religious authorities in Jerusalem, and be killed (Mark 8:31); His glorious return as eschatological judge (8:38), finally and unequivocally vindicates Jesus (and His people). 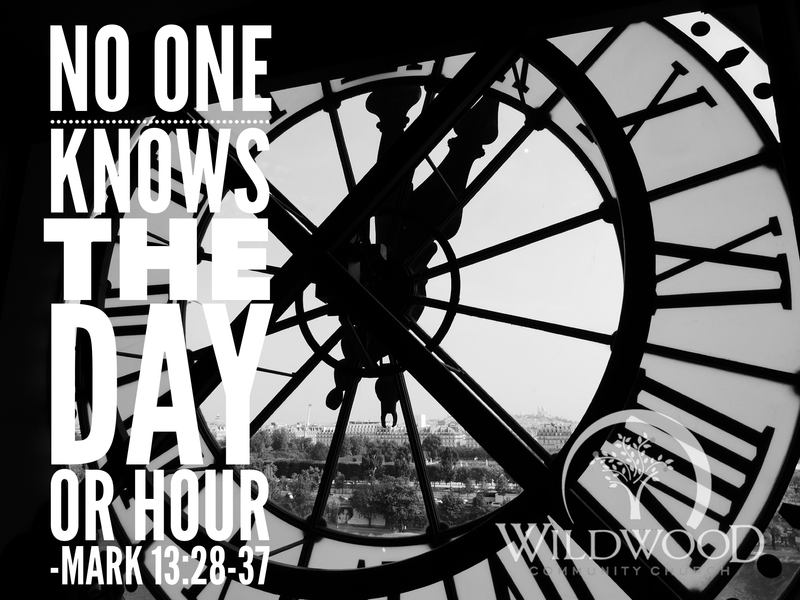 In this one event, any ambiguity of the “already but not yet” is resolved with this – the consummation of the Kingdom of God! The purpose of His return is to gather “his elect” – the people of God – from everywhere (via the work of angels – v. 27). The new people of God are gathered around the Son of Man, rather than the Temple. Disciples of Jesus do not know the timing of these events (Mark 13:33, 35). Therefore readiness and faithfulness are called for among His followers. In the end, God will finally set everything right! Similar to the way the resurrection, as witnessed by the original disciples, served as God’s stamp of approval on the life, work and ministry of Jesus; so all will see the coming of Jesus in the clouds to establish His everlasting kingdom. There will, at that point, be no doubt about who He is (or who’s in charge)! 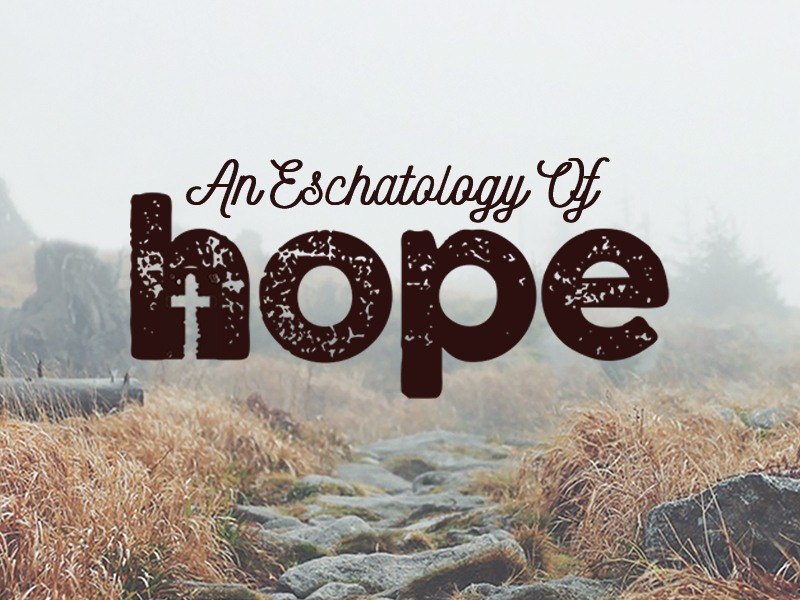 If there is one thing that characterizes us as followers of Jesus, it is this: we are a people of hope! And we bear this hope, bringing it to a chaotic and hopeless world! All ambiguity and apparent contradictions of present circumstances will be resolved! Do whatever you have to do to implant this hope deep in your heart. Then share it with those in your circle of influence. This is our vocation as followers of Jesus – for we are fishers of men (Mark 1:17)!